Anti fly hood made from a mesh-type, close-unit cotton knitted fabric, with ear pieces made from jersey for a comfortable fit. 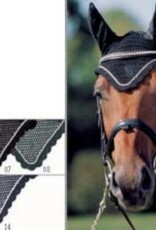 The hoods come with tie-strings to attach to the headcollar or bridle. 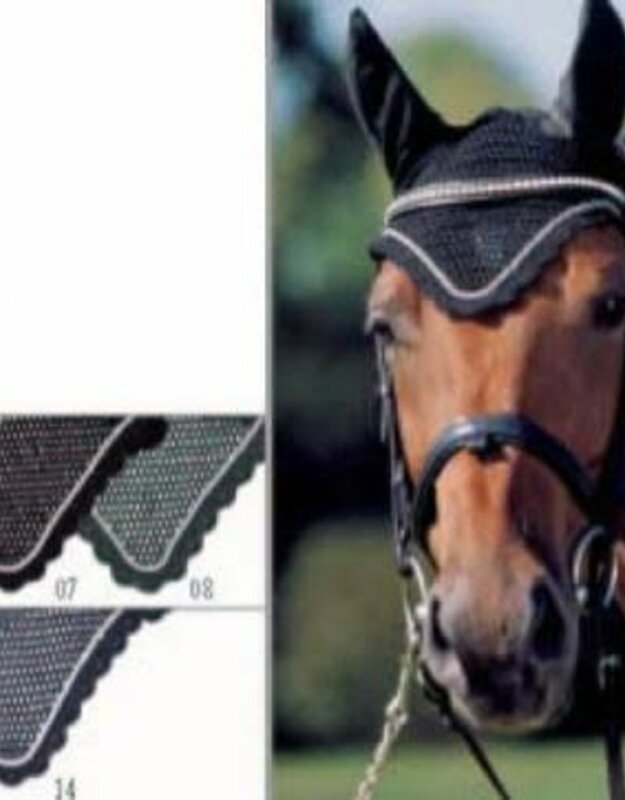 Matches the ESKADRON browbands.